In my last post, I mentioned my BFF from seventh and eight grade. Some Fourth Grade Nothing readers asked what the deal was with her mother banning us from being friends in ninth grade. I promise to get to that ... However, to keep the chronological order, I'll first introduce you to my first real buddy, Dawn. In 1982, my friend and next door neighbor was an Irish/Italian girl raised by her father. Unlike me, the oldest of two, Dawn was the youngest of three. She lived with her older brother and sister and was a year older than me. Which for some reason seems like a big deal when you're inching toward the teen years. Dawn was street smart. I was, as you know, a clueless, sheltered Catholic school girl. She was from the tough streets of Levittown. By the way, Levittown in the early 1980s was really just an average American suburban, middle class town on Long Island just like my own hometown. A mere twenty minutes from where I grew up, Levittown to an 11-year-old was like 100 miles away. Dawn used rough words. In addition to the standard four-letter terms, she often said, "ain't." As the child of two teachers, this word was never spoken in our home. Dawn was frequently teased for looking scruffy. Boys would call her dirtbag and even as a little girl the words hurt me like. I hurt for her. The other girls on our block were not allowed to play with her. Raised by her corrections facility father, Dawn wore her hair short and dressed more like a Tom Boy. She liked tough-looking boys and read, Seventeen. One afternoon, in my bedroom, I proudly unveiled my very first copy of YM magazine. Dawn just laughed and elbowed me in my fleshy rib cage. She joked that I didn't even know what a feminine product was and suggested I stick with Tiger Beat. It was Dawn who had her big sister Debbie, explain the truth about the birds and bees. Though I don't recall Debbie talking about pollen, she broke the news as delicately as possible and answered all questions very diplomatically. She often watched us when my parents ran an errand or two. She once told me about her mother and how she "had problems." To this day, I'm not quite sure what those problems were. I met her mom once. She didn't seem motherly. She seemed troubled and distant. 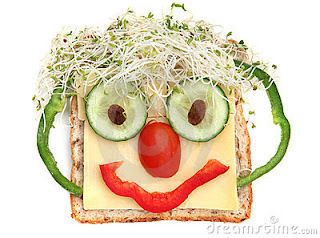 I couldn't imagine her mom fixing a younger Dawn a turkey sandwiched topped with a smiley face made of veggies to trick her daughter into eating healthier. I couldn't imagine Dawn and her mom shopping for back-to-school shoes, clothes and school supplies in late August. I tried to imagine Dawn's mom sitting on the edge of her bed, handing her tissues and an inhaler on a hot summer's night in the Catskills because her daughter's allergies and asthma clashed with the wooded area. I couldn't imagine her mom dragging her to Jazzercise and treating her to a fast food salad afterward. It all made sense after that quick visit with Dawn's mom. I looked at my pal in an entirely new light. It's funny how as kids we think we know it all, but really don't know anything. I guess even as adults we think someone's life is flawless, but the reality could be very different. I'm not sure where Dawn is today. One random Mother's Day in the mid 1990s, Dawn stopped by with a small gift for my mom. I wasn't home at the time. She handed Mom a glass figure of a cat wearing a pink ribbon. She thanked my mother for always being so kind to her as a child when other mother's viewed her as a bad seed. She thanked my mom for being fair, warm and welcoming her into our home any day or night. The last time I saw Dawn, she had relocated from another Long Island town back to my hometown. She moved around a bit and we lost touch over the years. The last time I saw her, she was married and had two small children. I remember thinking she seemed so young to have a husband and babies. I was still trying to complete my BA at the time. I remember her husband was working on their house. She had a beautiful pool, deck and told me her husband was having a security gate built around the entire house. I hope things are still going well for her. Although things looked great from the outside, I felt like something was still not quite right. Wherever you are Dawn, I hope you're well and I'm sure you're an awesome mom. What a lovely post. I hope Dawn's ok too. Oh wow. I feel as if I knew Dawn. Hope all is well wherever she is. Thanks MoonDoggie :) I do too. She had a very common name so I can't really try to locate her on Facebook. I hope you are able to find her again one day. Hope you're able to hook back up with her someday! It's hard to grow up with one of your parents not being a parent. I hope she's OK too. A security fence? Dude, I gotta think things must be going pretty nice. this really touched me. I hope that Dawn finds her way back yet again. It's odd, how you think back as an adult and things are completely different. I hope Dawn is okay, too... and am glad you were such a good friend to her. Ally, can I just say that this blog is like coming home? What a great post this was! I'm sure Dawn's memories and thoughts of you are equally as warm. Dawn's relationship with her mom sounds a lot like my best friend, Corey's. He didn't end up so well, he's in prison. Some people have more inner strength to overcome what life hands them, I suppose. Is Dawn alright? I cannot live with this suspense!